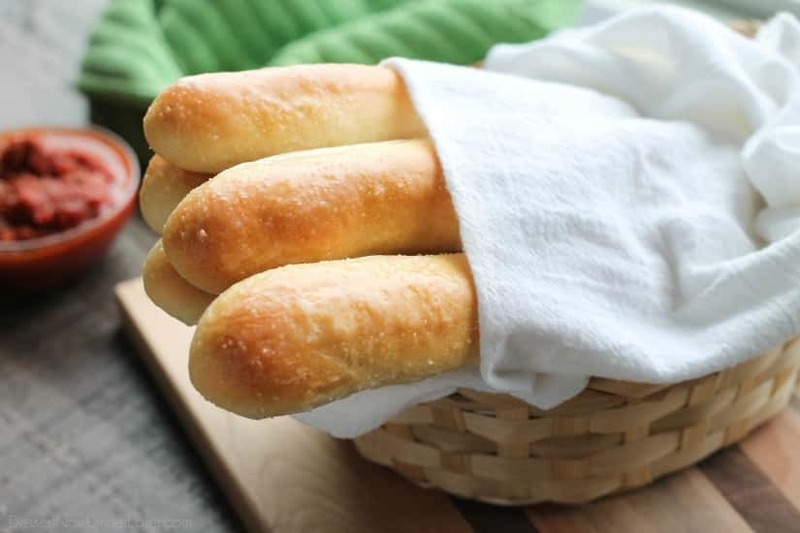 Olive Garden Breadsticks Recipe - Dessert Now, Dinner Later! This copycat Olive Garden Breadsticks recipe tastes just like the restaurant and can be easily made at home. I have promised you guys a copycat Olive Garden Breadsticks recipe, and I’m finally delivering! 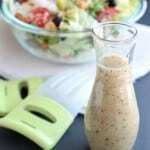 You know how much I love Olive Garden — I have the BEST copycat recipe for Olive Garden Salad Dressing (Yes, I know you can buy it from the store, but hello! High fructose corn syrup. Not in my recipe!) along with pretty dang good imitations of their Zuppa Toscana, Chicken Gnocchi Soup, (altered) Steak Gorgonzola Alfredo, and Black Tie Mousse Cake. 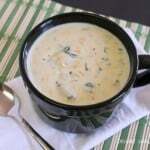 I’m practically your one stop shop for Olive Garden copycat recipes. I’ll be honest. 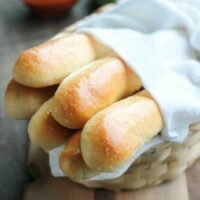 I’ve been avoiding this this Olive Garden Breadsticks recipe because I don’t particularly love making yeast bread. I actually haven’t made bread in a LONG time because I work with Rhodes Bake-N-Serv and I have a freezer full of frozen dough that I just have to thaw to use. It was super tempting to use Rhodes rolls for this recipe, but I got over my break from yeast recipes and got back in the kitchen to bring you these breadsticks. The result was this fantastic, EASY dough recipe that I almost dare say is foolproof (if you don’t kill your yeast). It’s smooth and elastic, which makes the perfect breadsticks. It was a dream to work with. The secret is to start with a paddle attachment, and then switch over to a hook attachment when making the dough. It doesn’t stick as bad that way, you actually get dough rolling around your bowl the way it’s supposed to, which in turn makes it knead the dough properly to form the gluten. 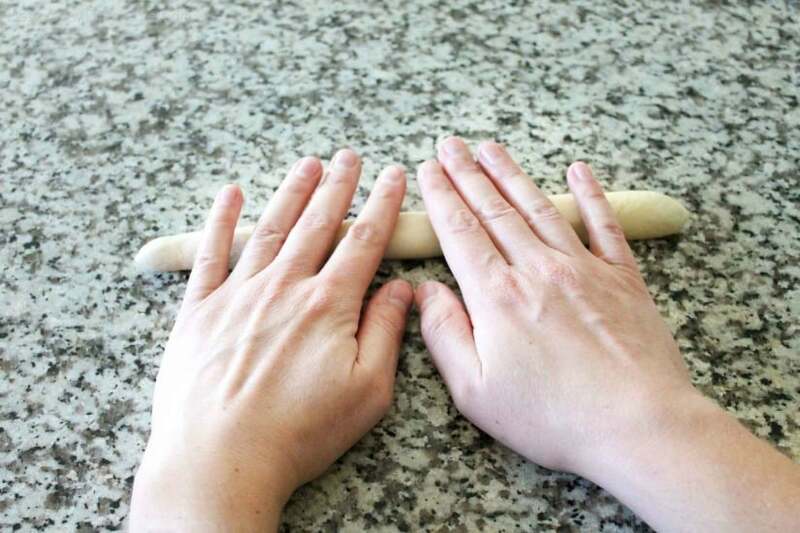 After making the dough all you have to do is focus on shaping the breadsticks just right and I have a strategy for that. If you want the perfect shaped breadsticks, dump your dough out onto the counter and roll it into one big log. Then divide that log into the number of breadsticks you want. This recipe makes a minimum of 16 LONG breadsticks — probably 24 regular size Olive Garden Breadsticks. Just cut them thinner. Next, I like to roll the center of the dough in my hands to get it started. 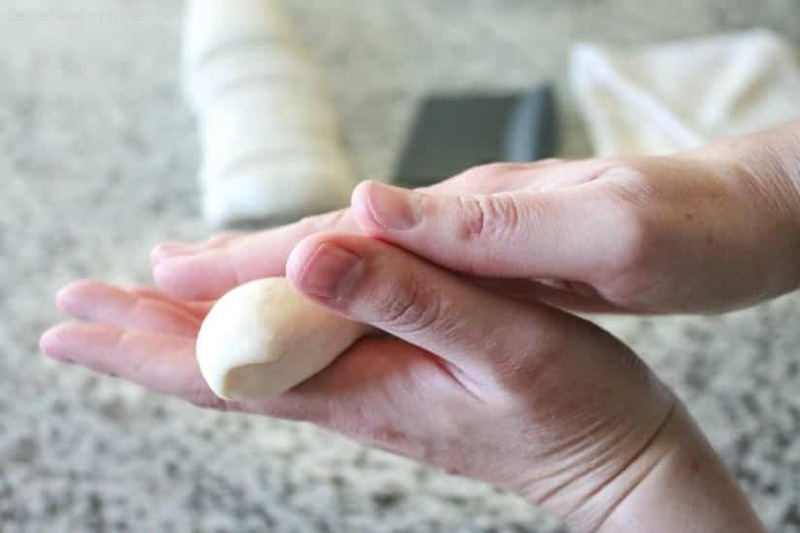 Then I place the dough on a dry clean surface and roll back and forth with both of my hands starting in the center, and moving my hands outward. 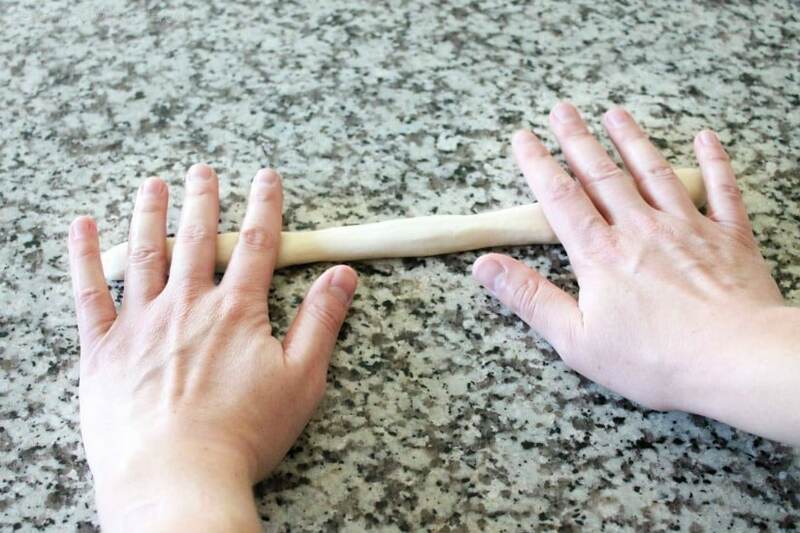 Lift your hands and place them back in the center of the breadstick and repeat (roll back and forth moving your hands outward) until you have reached a breadstick that is about 3/4-inch thick. I have a couple pictures below to help you with my explanation. Place the breadsticks on a silicone lined baking sheet (or lightly grease a pan with cooking spray) about an inch apart. Cover the breadsticks with a towel (or lightly greased plastic wrap), and let rise until double in size. If you make yours the width of the sheet pan like I did, they will be LONG. Just FYI. If you want them Olive Garden size, do roughly half the width of the sheet pan — about 6 inches long. Bake at 350 degrees Fahrenheit for 20 to 25 minutes or until golden brown. 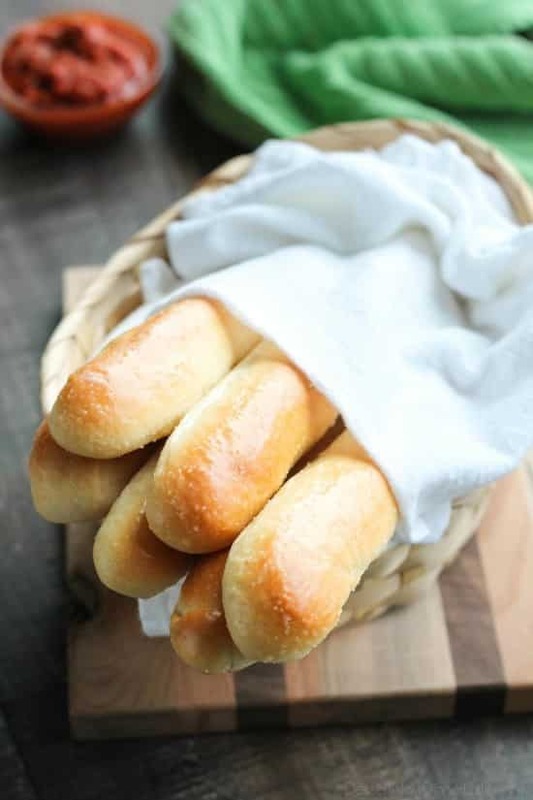 TIP — Lightly spray the tops of the breadsticks with cooking spray before you bake them so they brown quicker and don’t dry out. Next comes the magical part. The topping. It’s literally butter, salt, and garlic powder. So simple, yet so perfectly seasoned. Slather it on there and you have just made homemade Olive Garden Breadsticks! 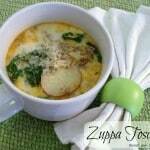 I hope you enjoy this recipe as much as I have enjoyed sharing it with you! 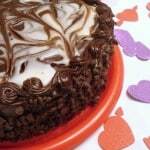 Be sure to print or pin this recipe for later! In the bowl of a stand mixer fitted with the paddle attachment, stir the yeast and sugar in the warm water and then wait until yeast dissolves/blooms (about 5 minutes). Add the salt, butter, and 2 cups of the flour. Mix gently to combine. With the mixer on its lowest speed, slowly add the remaining flour until the dough is smooth. 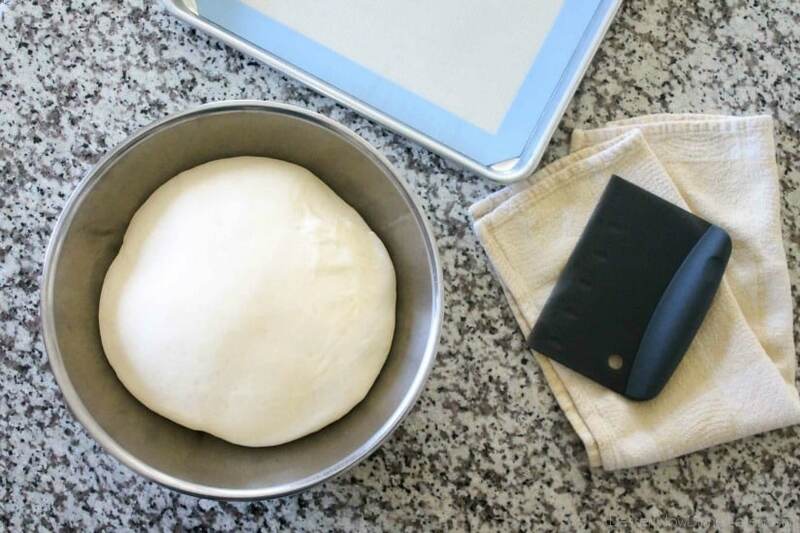 Switch to the dough hook attachment and knead the dough for 10 minutes. Place dough into a large bowl that has been greased with cooking spray or a light layer of olive oil. Cover and set in a warm place to rise for 1 hour. After an hour, punch dough down and remove from bowl onto a clean counter. Roll dough into one big log. Divide that log into the number of breadsticks you want. This recipe makes a minimum of 16 LONG breadsticks — probably 24 regular size Olive Garden Breadsticks. Just cut them thinner. 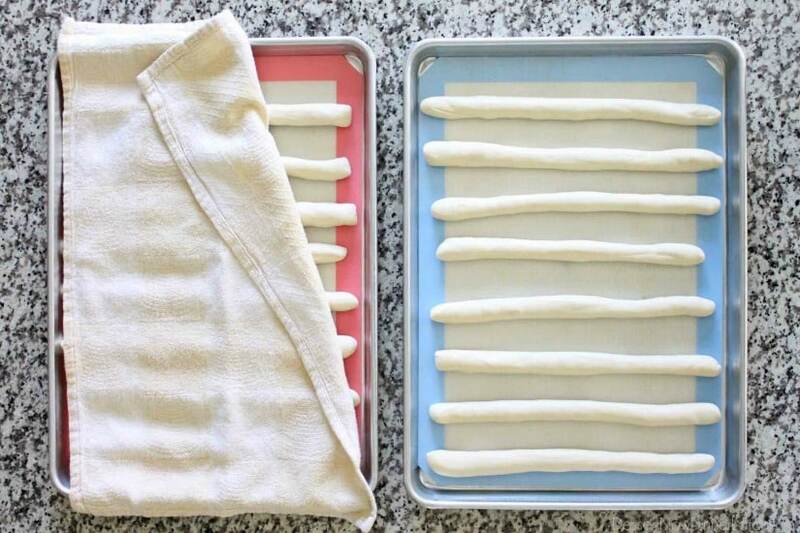 Place the breadsticks on a silicone lined baking sheet (or lightly greased pan) about an inch apart. 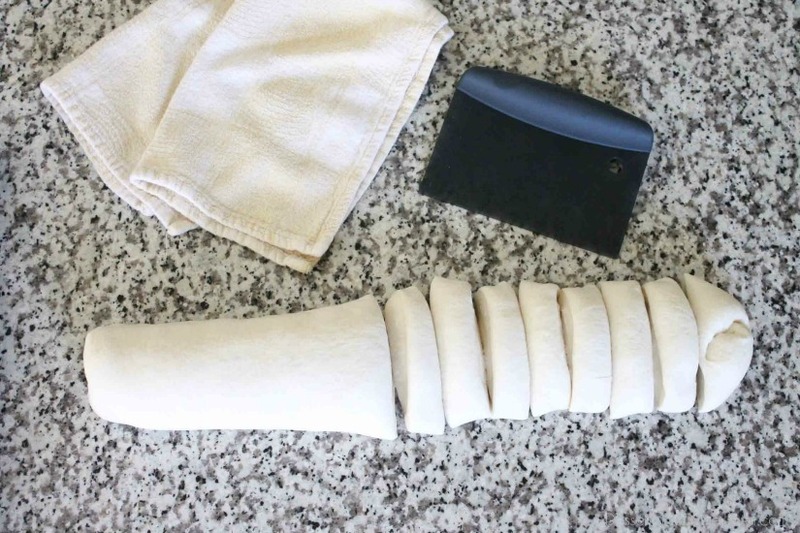 Cover the breadsticks with a towel (or lightly greased plastic wrap), and let rise until double in size; approximately 30 to 60 minutes depending on the temperature of your kitchen. Meanwhile, melt the butter in the microwave. Add the salt and garlic powder. Mix thoroughly. 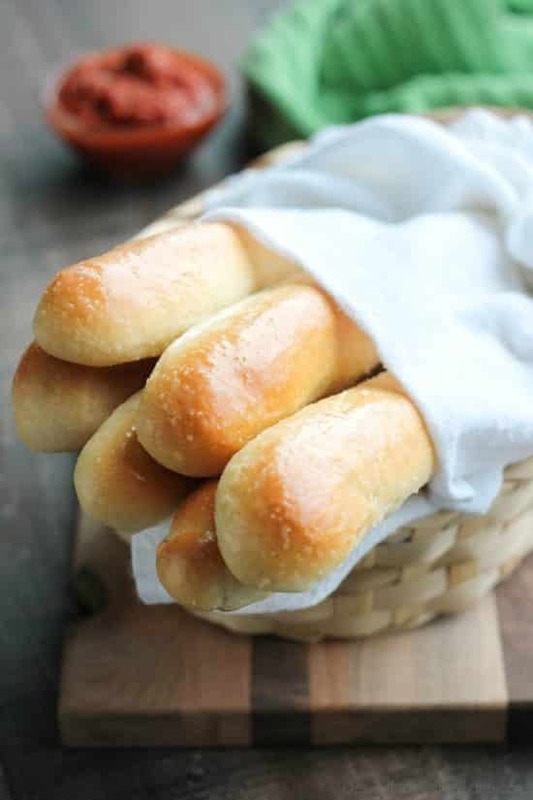 Brush the tops of hot breadsticks immediately from the oven. Enjoy warm. Store leftovers in a plastic zip-top bag.